Origonally equipped with a 12A Rotary Engine. (70 C.I.D.) 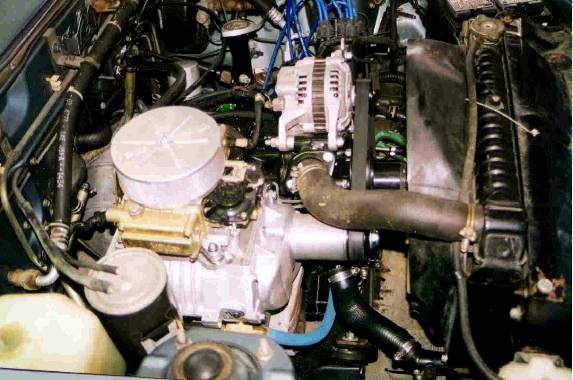 I changed it to a 13B Rotary Engine (80 C.I.D.) and then Supercharged it with a Camden Supercharger. 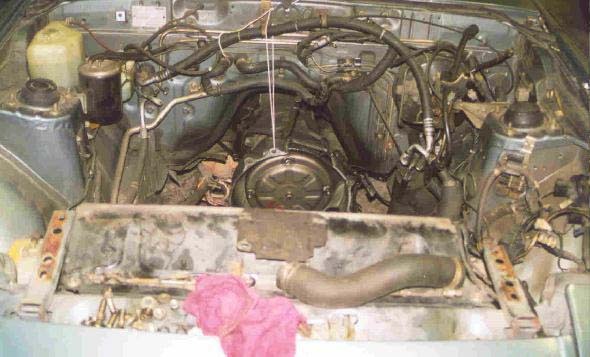 This is the engine compartment right after the 12A was pulled out. I had to "tweek" a few things to get it ready for the rebuilt engine that was going to take the place of the 12A engine. It's almost ready! 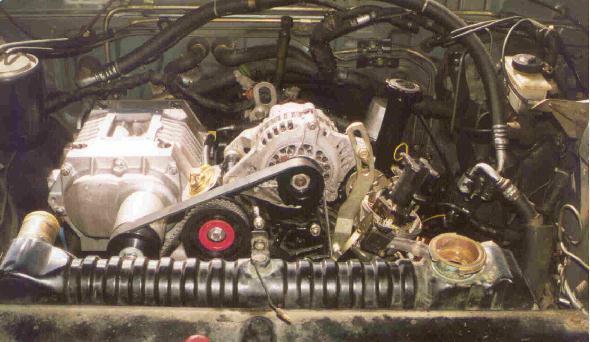 This is the 13B engine with the Camden Supercharger. I just need to hook up a couple of lines and put the radiator fan on it. Then it will be ready for the first test run. Ta Da! We're wired and ready to go. All this work will be worth it.